New: If you want to buy Bitcoin or other Crypto Currencies with Euro (EUR) or British Pound (GBP), visit Binance Jersey instead. They accept those currencies by bank wire – great for all EU / GB Citizens. 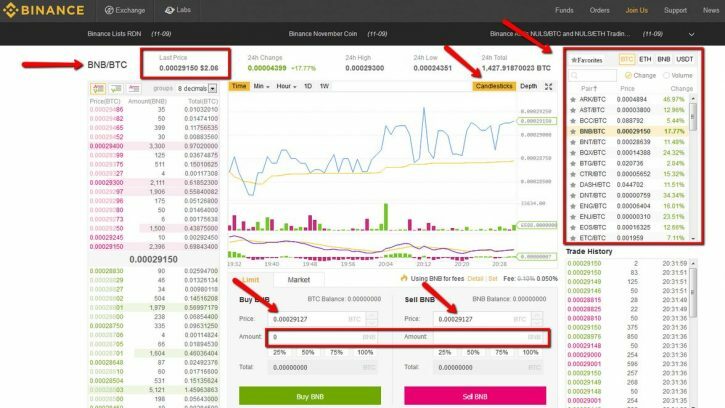 If you want to buy Bitcoin / Crypto with Credit Card – visit the standard Binance website. When a new website is launched on the internet, what would be the most common review? The most common reviews especially when the newly launched website is an exchange/trading website is that it could be a scam! A statement that is commonly being said by people that have only read negative reviews about a website but not haven’t tried using or exploring it themselves. But despite the fact that people are talking bad about them, it is still our duty to make sure that we look into their website and have a couple of features pointed out before we even distrust them. With that being said, we will be reviewing a new exchange company called Binance.com today. Despite what people say about new websites, we will try to dissect them, and know what makes them tick. Without further delay, let’s talk about that! Binance came from the word “Binary” + “Finance”. One of the negative things that people find about this website is that it is operated by a Chinese company that is operating in Tokyo, Japan. Before they were completely operating in China, but due to the recent issues with cryptocurrencies, the company decided to transfer operations to the world’s friendliest country when it comes to cryptocurrency operations. On their website, it says that they are capable of processing 1,400,000 orders per second! Impressive numbers if you put into consideration the number of people that go to their website on a daily basis. The company had its ICO earlier this year, July 2017 and after a few months, released their exchange website where their coin BNB can be used to pay the transaction fees. This is a fairly young website that just entered the game of online cryptocurrency trading. You can read more about the company here. Verification levels is a pain when it comes to exchanging websites, it is also a security feature that can help monitor our trading levels and keep in manual to help us control unwanted trades. What are verification levels? Account levels are there to keep the users safe from going over their regular trading capacity. Most of the websites now have manual activation that requires information from the user submitted to the company for review. There are also verification levels that are not connected with trading, but with deposit/withdrawal caps. There are three verification levels available in Binance.com and these verification levels are for withdrawal limits. The first level has a 24-hour withdrawal limit of 2 BTC, the second level allows up to 100 BTC withdrawal, the last level would be level 3 and this would have a higher limit than 100 BTC (exact amount is not disclosed). How do we level up an account to increase its withdrawal limits? To increase the regular level (LVL 1) to Level 2, the security SMS Authentication/Google Authentication needs to be turned on. Which is great if you ask us since this is a major increase in an account’s limit. Once this has been turned on, additional verification documents needed to be submitted in order for the account to be increased to level 2. The level 3 account needs to go through a manual verification process which demands a user to contact the developers and ask for their approval. Once logged into the account for the first time, the user will be asked to activate the Two-Factor Authentication under the account. 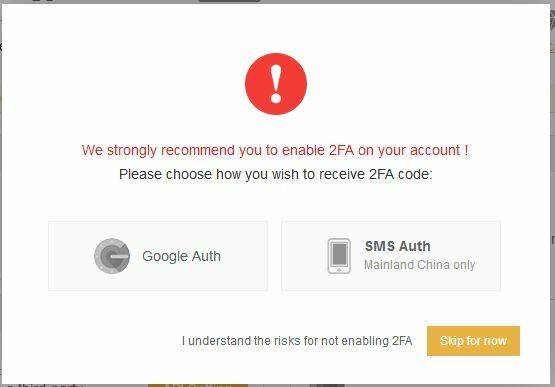 There are two options, one would be the Google Authenticator and the second only works for Mainland China users which is the SMS Authentication. What we found really impressive is that the first time you log into your account is that you are not thrown right away to the sharks, we meant that you will not be thrown directly to the live trading board and they would redirect you to the security tab instead wherein everything needs to be taken care of before moving into trading. There are quite a few features that this website has to make a user feel comfortable with their registration. We have already mentioned a couple of security features including the ability to add a 2FA to your account. They also have the verification levels for withdrawal limits that enable a user to add a layer of a level if they have gone through the requirements to upgrade one’s account to a different tier. You are also able to add an API private key where you can access all the trading services of Binance.com from a third-party website or a mobile App, making it easier to transfer from one device to another. One of their famous features that will be talked about later in this review, this is the ability for the registered user to turn ON/OFF the fees payment using the BNB coin. They also have a referral program which their registered users can take advantage of! If you are interested to know more about this, please visit their FAQ’s section here. We have already talked about the creation of an account, their website features; it is the perfect time to talk about how much they charge per trade. So how much do they charge? At the current rate, Binance only charges 0.1% fee for each trade. Compared to any other websites out there today, they probably have the cheapest trading fee to date! What’s even better is that they have their own coin BNB which can be used on their exchange website. As mentioned earlier, one of their features is to turn ON/OFF the ability to pay the fees with their own coin. If you are paying for the use of BNB, you will immediately get 50% OFF from the trading fees. This means that the trading fee of 0.1% that’s dirt cheap, would even go down to 0.05% with the discount added. How awesome is that? You guys might want to read up about their coin as it is being discussed in this thread. Now comes the fun part! Binance.com exchange is divided into two parts. One would be the Basic tab and the other is the advanced tab. We will be going to look into both these tabs but focus rather with the basic one since both are just basically the same, with the “advanced” having more things to look and get confused at. To get to the basic exchange platform, log into your account. Remember earlier that we’ve talked about being redirected to your security account tab after logging in? On that same page, head over to the upper left-hand corner of the screen and click on the “Exchange” tab. This will open up two options to choose from as mentioned –please select basic. Seen in the screenshot above, the chosen exchange BNB/BTC (of course, the default should be showing their own coin) can be seen in the upper left-hand corner of the basic trade screen. Found beside the exchange, squared out is the last price for the exchange between BNB and BTC, next to that is the 24-hour exchange rate and further down to the right side would be the high and lowest prices recorded within a twenty-four hour period. Shown charts can be changed between “Candlesticks” and “Depth” depending on what you like to look at. Since this is a BTC exclusive website, all of the coins will be paired up with BTC. This can be found on the Right-hand side panel of the basic trade window. The list of the available coins that can be traded will be discussed later on in this review. To Buy or Sell an order you just need to head on to the middle area where you are able to place orders. The price of the BTC can be freely changed to whatever value you think is profitable. After changing or retaining the price, select the amount of BNB or whatever the pair for your BTC is and click on BUY/SELL. Successful orders will then be placed on the left-hand side of the trading page. All Open Orders can also be viewed on the lower part of the trading page. To access this, just scroll down and the lowest part of the page should be it. Now moving on to the advanced trading page, everything is turned into night mode and the difference is the optimized location of the important tabs found on the trading page. The indicators have been transferred to the upper left-hand side of the trading page, on the far right side would be the candlesticks and depth graphs; this is also where you are able to change the view from the regular or full-screen mode. Going down on the right-hand side panel are the buy and sell orders that have been recently fulfilled. Below that are the order tabs wherein everything that has something to do with placing an order can be found. On the lower right-hand side is the Open Orders, Trade History, and Funds tabs respectively. 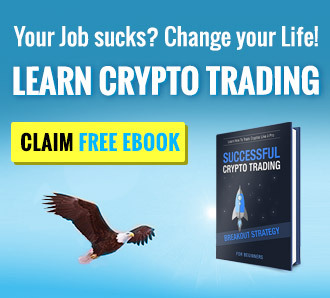 One thing that this website lacks when it comes to their trades, would be educational material that can be of great use to new traders that want to get into the trading world. If they are thinking of adding features to their website, adding educational material is the good thing to do. “A vast selection of pairings” is what one of the reviews said on the website Binance.com. And that is simply true and no words can describe the pairs available for exchange. To name a few tradable coins we’ve got BNB, Ark, Bitcoin, Dash, Ethereum, ETH Classic, Litecoin, and a ton more coins! To get a list of the complete available pairings, please head on to their website and create an account. The website was not created for new players in the exchange world. They do not have a guide saying what is which and leading new traders to the right path, nada! 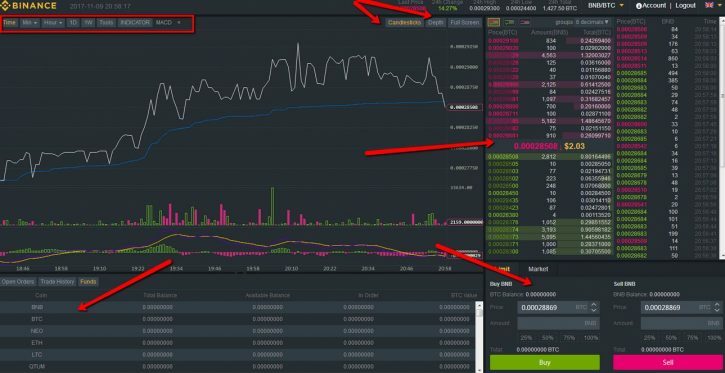 With that being said, it would be wise to read more about exchange websites before even attempting to trade here at Binance.com if you are new to the trading world. Aside from the non-user-friendly interface, we’ve noticed that their website doesn’t have any lag issues at all. This means that when we go from one tab to another, everything happens in an instant and you are not forced to wait in awkward silence to get to the next page. When it comes to ease of use, we give them a fair 7/10 experience since everything went smoothly, the only advantage we have is that we know what the graphs and numbers are for. After all the exploring with their features and how to trade, it is now time to look into the kind of support they have for their customers. One of the important things in looking into exchange/trading platforms would be to know what their customer care service is about. We have stressed in so many reviews that when it comes to websites that handle money, customer care is vital to its progress as this bridges the gap between company and customer. 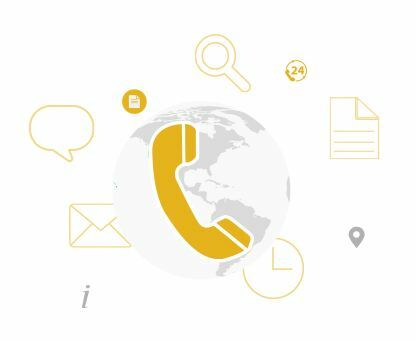 Here at Binance.com, a registered customer can contact them through email support since they do not have a live chat system integrated yet into their website, maybe a feature that will be added in the future. Aside from the email support that can be reached through support@binance.zendesk.com they can also be reached through QQ Group: 344615861. QQ is a messenger App that is widely used in China. They can also be followed through their Facebook, Twitter, Weibo, and Wechat accounts. Their features provided are great despite the fact that they are new to the trading scene. A little bit of time spent going around the website and exploring the tabs made us confident that it only takes time to familiarize their usages and feel content with what they have. As mentioned earlier, their website doesn’t have any lag issues so this is great. The security features provided is ample enough to keep your account safe. The only thing that’s missing is that they fail to mention any safety net for their trades compared to other websites that this is always mentioned and transparent for the registered users to see. What are people saying about the website? Most of the negative claims can be just opinions of what people say about them and are just that, no proof whatsoever of the negative claims they have on the website. You can read a little about how they say the website is a pump and dump scheme that you should be aware of. Click on this link to be redirected to the review. We had fun as we went through the website and explored their features and what their exchange platform was all about. We didn’t expect that much from Binance.com since they are just a really new website in the exchange market and the negative reviews that some of the websites throw at them today. If you ask us if this is a safe place to conduct business with. Binance is relatively new – but they managed to earn a lot of trust in the crypto currency space. In fact as of today, it is one of the most trusted crypto exchanges and trading platforms. And as they added new features like EUR & GBP Fiat support with Binance Jersey and also support for Credit Cards on their main platform – we can definitely recommend the Binance Platform to everyone – newcomers and “OG” crypto enthusiasts. It worked ok at first I had about 1500 TRX tokens stored there, I had a phone get destroyed along with the 2FA google app and this is where the trouble started. After this they never allowed me back into my account, they waste your time with pretend customer service/robo mail, when you lodge a ticket they’ll close it if you don’t respond within a few hours or they simply wont listen to you or pretend to listen and make you repeat yourself whilst pretending to care and remedy the situation, its all horse s#it and smoke and mirrors to defraud you. I have been trying for 6mnths to get them to let me into my account never once did they ask my personal details that were used to create the account.